I have a dog and when I travel is a matter for my partner and me, because not all the places – public or private – accept it all the more on the beach, where it is strictly forbidden to go there with dogs. Luckly there are many dog-friendly beaches in Italy that have been opened in the last years and their number is growing year by year. 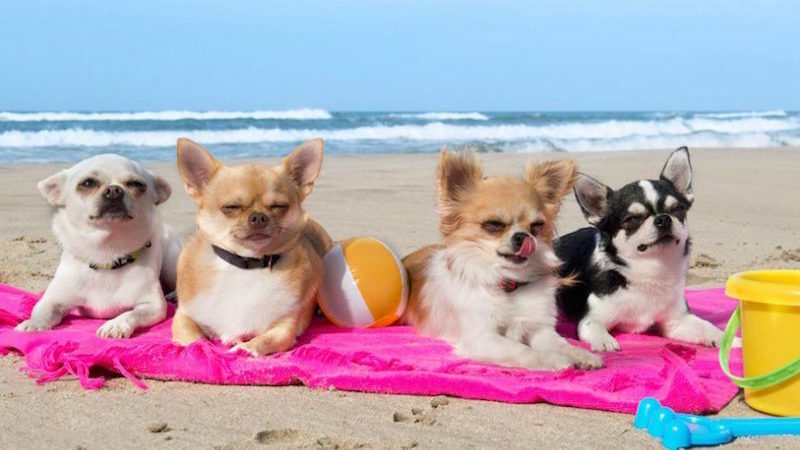 Before suggesting you the best dog-friendly beaches in Italy, subscribe to the newsletter to download the complete list of the dog-friendly beaches including phone numbers, addresses and websites. Talking about beach etiquette in Italy I already said that municipalities forbid dogs entering to public beaches, the free ones. You cannot lying in the sun with your dogs there for the entire summer. Generally the ban applies from May to September inclusive, but the lenght of this period can change from a municipality to another. Dog-friendly public beaches do exist and you need to know few things about bringing your dog to the beach. There are no particular rules for public beaches except use your common sense and respect other people, but I suggest you to ask to local tourist information office to know the local rules as they could change for any reason. Generally you must bring with you all the documents certifying that your dog is in order with mandatory vaccinations. Remember that sometimes fresh drinkable water is not available for free on these kind of beaches or you will not find any bar where to buy it. So bring a bottle of water for your dog with you. Don’t forget a beach umbrella to prevent your dog from having a heat stroke. Usually public beaches in Italy don’t have places where you can enjoy a little bit of shadow to recover you and your dog from the hot temperatures. Even when the dog is allowed on the beach – both public and private – you should make sure of your dog can swim into the sea. You have to keep your dog on a lead no longer than 1.5 metres and the muzzle can be requested for big dogs, but this is valid for any public spaces. those where you can go only if you are with a dog. Services and rules can be different from a dog-friendly beach establishment to another. Please get information before you go directly to the managers of the beach establishment. In some dog-friendly establishments you have at your disposal a sort of a fenced area where the dog is free to move. 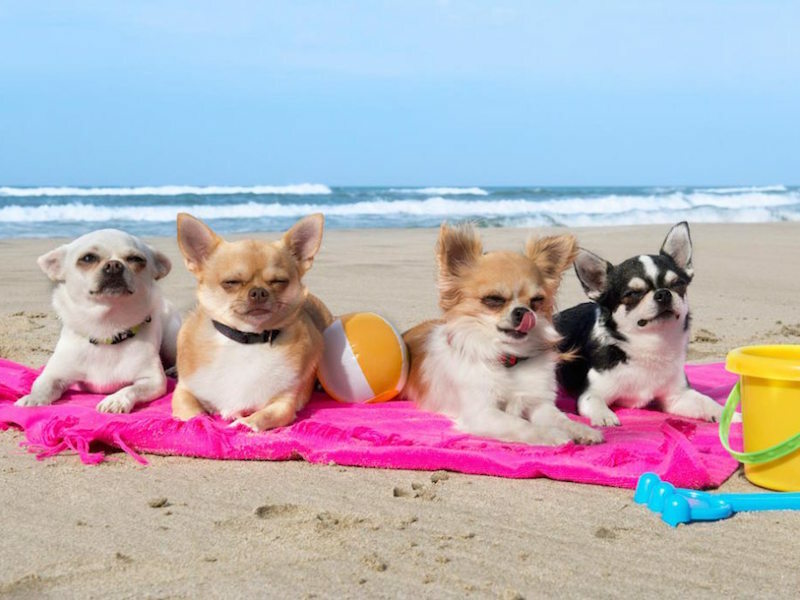 In some others dogs need to be tied to the beach umbrella lying under the beach lounger or close to it. I supposed it can be helpful having a guide with all the beach establishments and the public beaches where dogs can go to plan your beach holiday as best as you can. The guide is divided into regions and for each regions you find both a list of towns that allow the access of dogs in their public beach or a stretch of it and the private beach establishments with the address, the phone number and eventually the websites. The information written in the guide are based on a personal research that I made searching on internet. To be sure about them I suggest you calling the local tourist information office or directly the beach establishment. Enjoy your dog-friendly beach holiday in Italy by downloading our guide!